Best Comfort Food In Singapore 2018/19? IMPORTANT UPDATE Please note that our rice bowls are no longer available at Paragon. However you can still enjoy a variety of meat rice bowls including the popular Famous Char Siew Rice Bowl at Asia Square. Offering pork, chicken and roast beef grilled to perfection in the Josper Grill, our famous rice bowls hit the umami spot every time. In particular, our sirloin roast beef rice bowl is extremely popular. Sirloin beef roasted in the Josper charcoal oven is uncommon even in Spain, so its our pleasure to present this unique dish in Singapore. 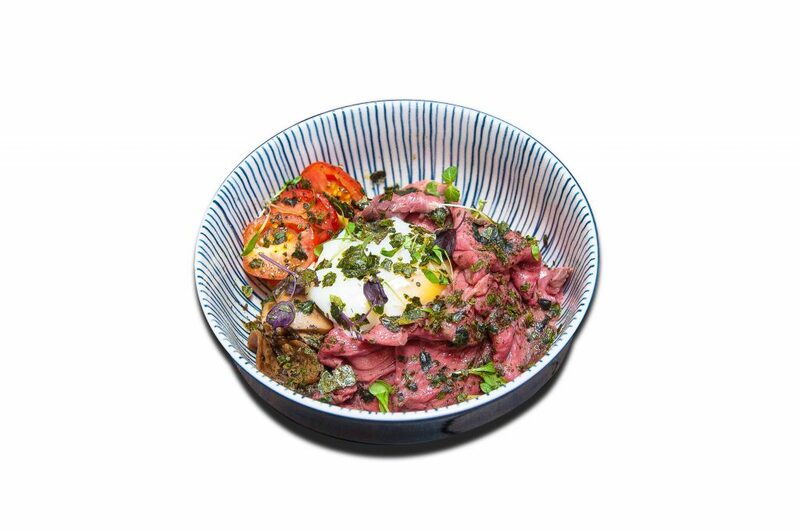 Served with premium Japanese rice, kombu, San Marzano tomatoes, wild mushrooms and a sous vide egg on top, our sirloin beef rice bowl is an umami bomb. Last but no least, we drip our house made yakiniku sauce to light up the charcoal taste of the sirloin roast beef on the rice. A truly memorable gourmet experience! 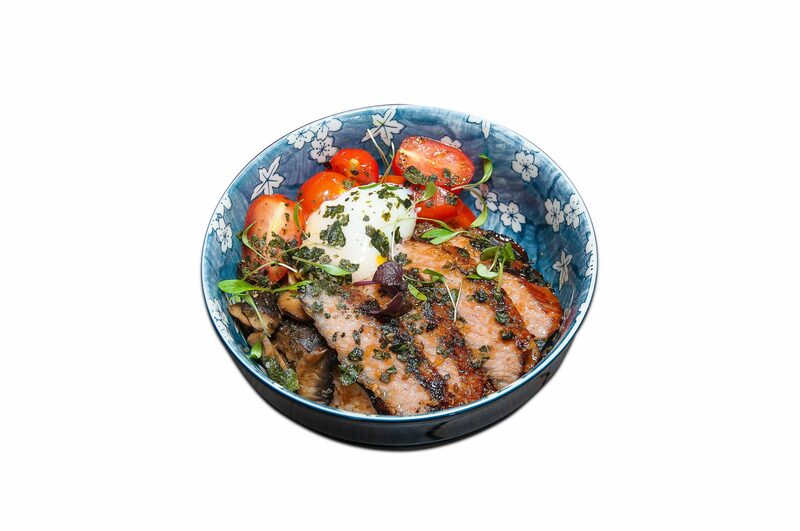 Apart from the sirloin beef rice bowl, our other popular rice bowl is the charcoal grilled Iberico pork rice bowl. Iberico pork is from Spain and known for its succulent and rich taste profile. After grilling it to perfection in the Josper grill, we put the Iberico pork on top of premium Japanese rice with kombu, San Marzano tomatoes, wild mushrooms and a sous vide on top. Our house made secret sauce complete a tasty Iberico pork rice bowl!